The monochromatic ruffles move like dress fabric! 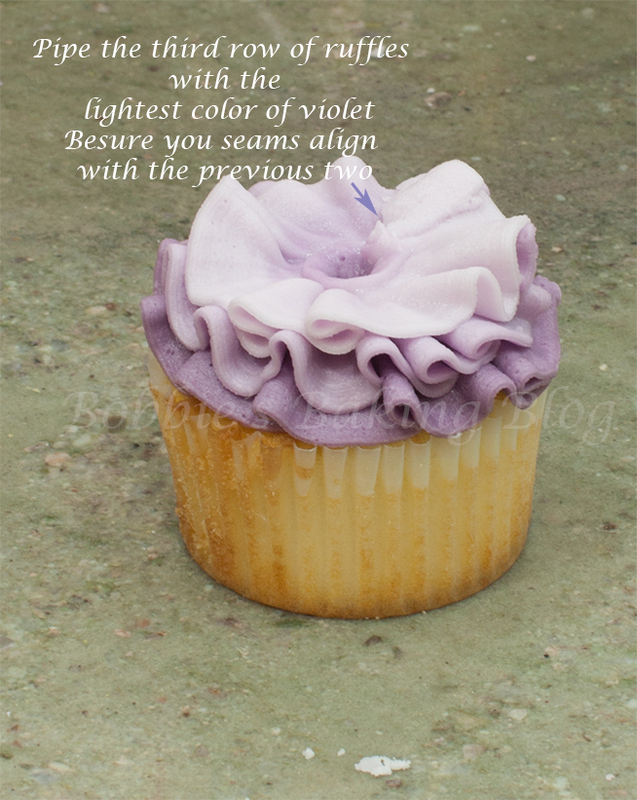 I wanted to design a ruffle cupcake that reflected the soft beauty of frilled designer dresses incorporating the delicate flow that mimics the fabric frills, flowers, and ruffles that are in the runway’s lovely dresses. 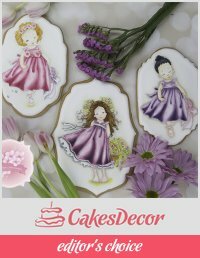 Using fashion as inspiration in my decorating of cookies, cupcake and cakes is one of my favorite designing techniques. For this tutorial I wanted to show you how easily you can incorporate your favorite ruffles with a monochromatic ombre touch. 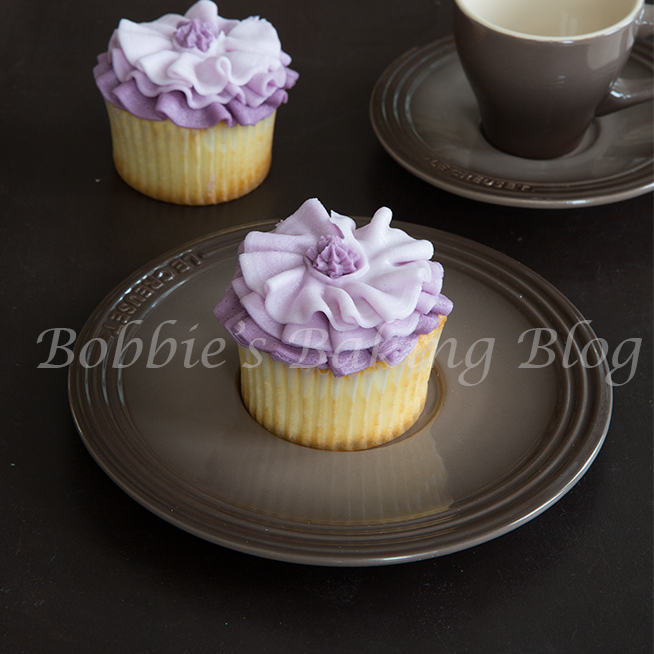 I choose buttercream as a medium to exhibit the possibilities of piping as a fashion inspired cake decorating tool. 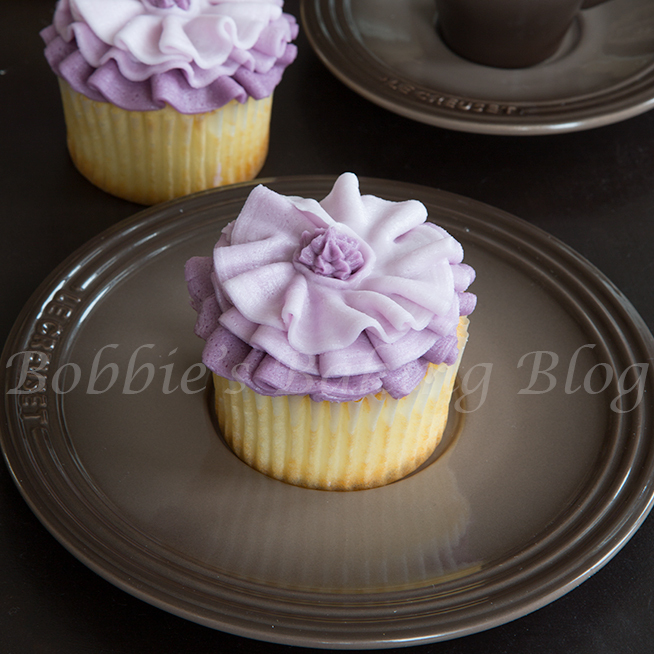 Royal icing could be used in the same manor, however I would recommend covering the cupcake in marzipan first. 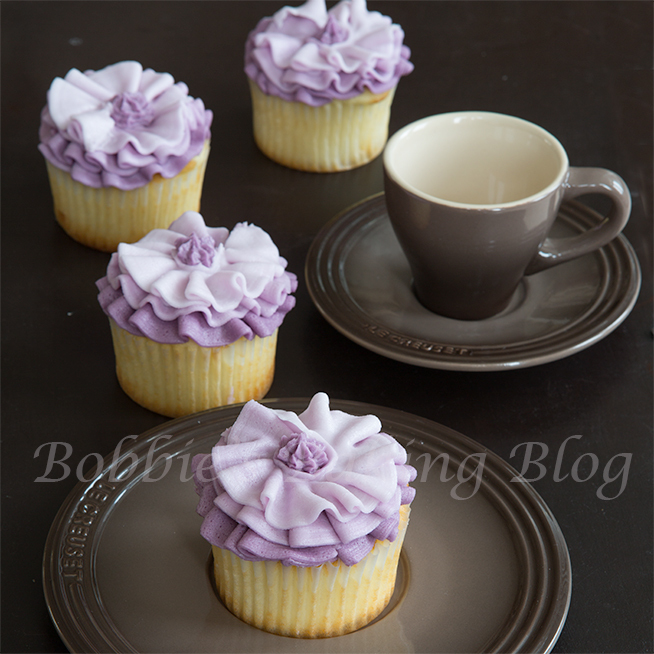 I choose to use my lavender cupcake recipe and vanilla lavender buttercream to match the lavender colour of ruffles. 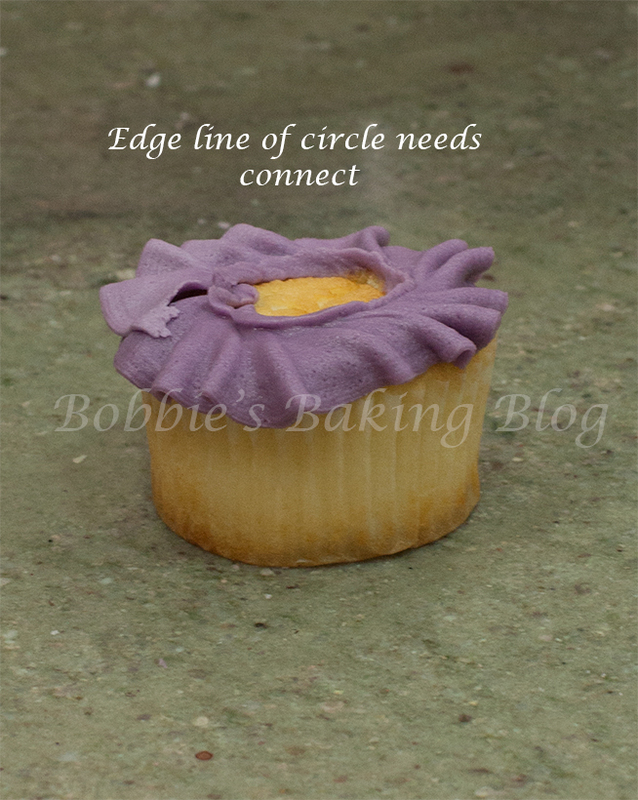 The soft aromatic buttercream is enticing! 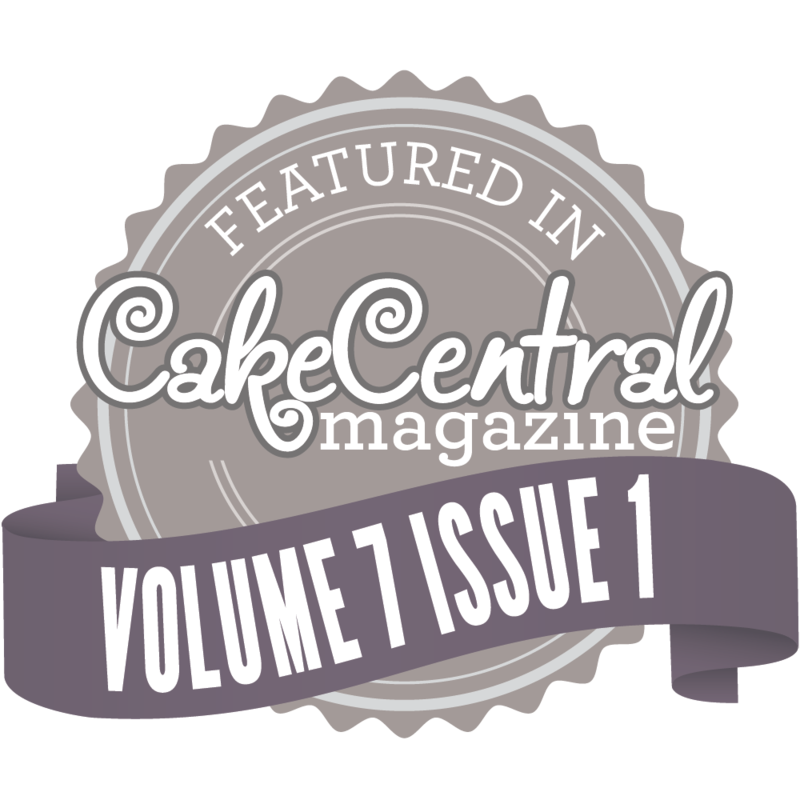 Be sure to allow your cupcakes to cool completely prior to piping the ruffles. The first step is to mix your monochromatic colors, start with the lightest color, and depending on the amount of tones/tints you want separate the lightest or base color between glass bowls. We chose three tones, the base color was light violet, the second color medium violet, and last was dark violet. Sydney and I have found using a toothpick or cocktail sticks is the most efficient procedure to color the buttercream. Slowly add .64 cm/ 1/4 up the toothpick of color until you achieve the color you want. Our color recipe started with 1/4 / .64 cm rose colorant paste, smidge white titanium, and 1/8/.13 cm of violet, the medium was double the violet to the base color, and the darkest was 4 times the violet to the base color or a full toothpick. 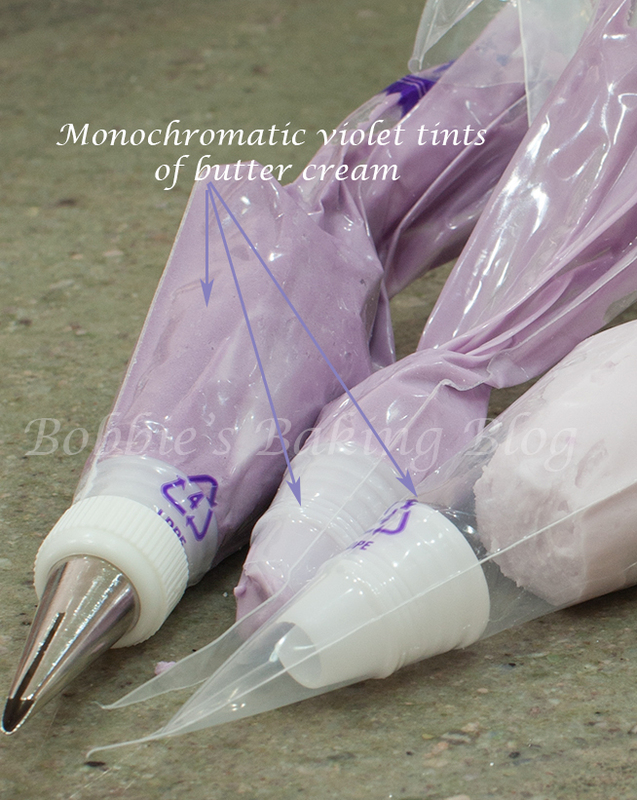 Once all the colors are amalgamated in the buttercream place the violet colors into your piping bags fitted with couplers and tip/tube #070 fitted with the darkest violet. 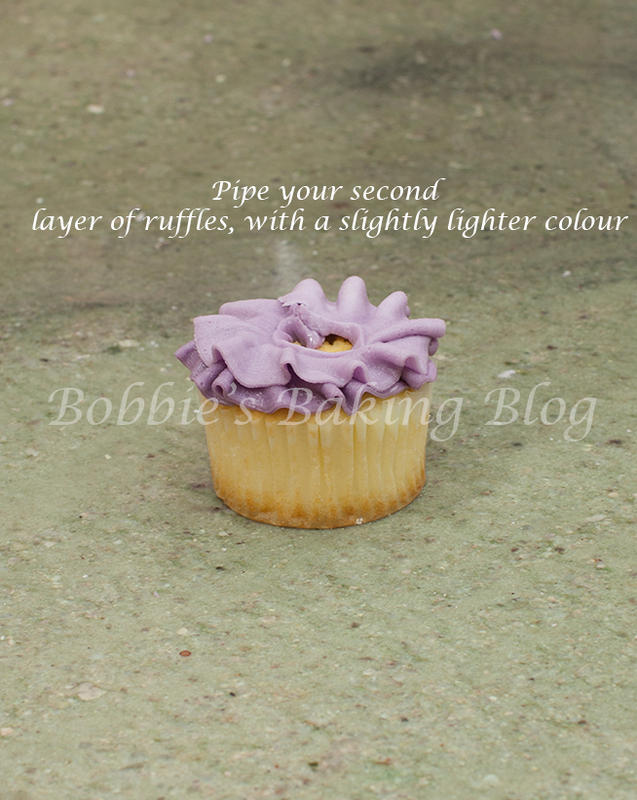 Begin piping with the darkest color first, lay tip/tube #070 almost flat with the frill line parallel to the cupcake. 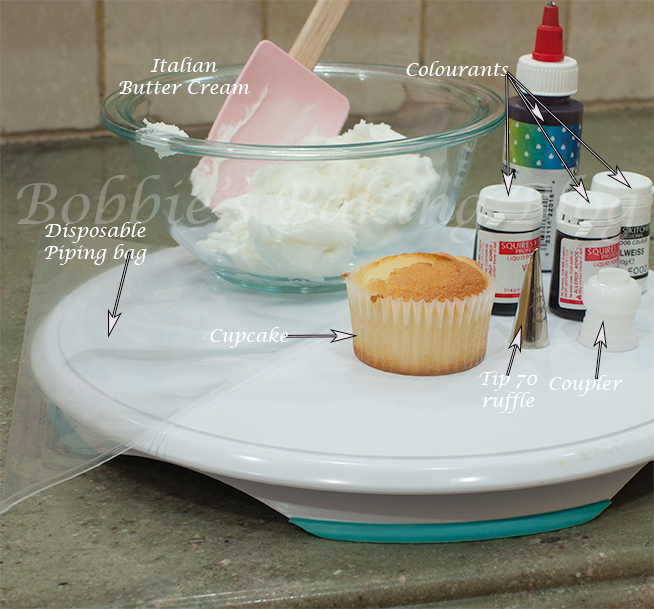 With even pressure start piping using a back and forth motion, slowly turn the cupcake once the ruffle has formed release the pressure, and gently pull away at a 45 degree angle. 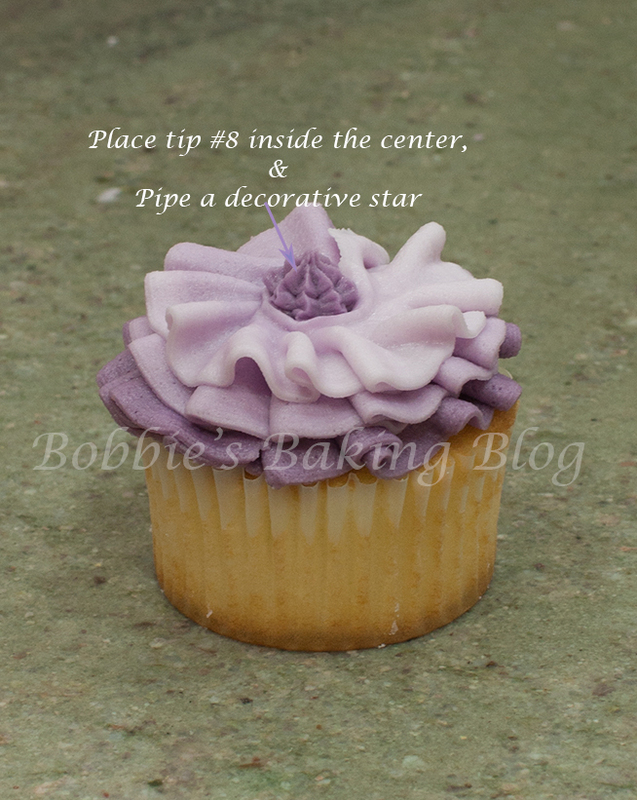 Make sure you turn the cupcake as you move in the back and forth motion with the tip. Pointers for success keep your tip/tube the width all the way around, start and end at the same spot, and begin each layer of color at the same spot as the first layer. As you pipe the ruffle you will notice a band, like a curtain line, place the your next two colors slightly above the band of the previous color, and adorn the the center with a star tip (we used #18). Place the star tip directly into the center of the ruffle circle at a 90 degree angle with even steady pressure pipe the star and pull as you ease off the pressure once the bottom of the star is full. 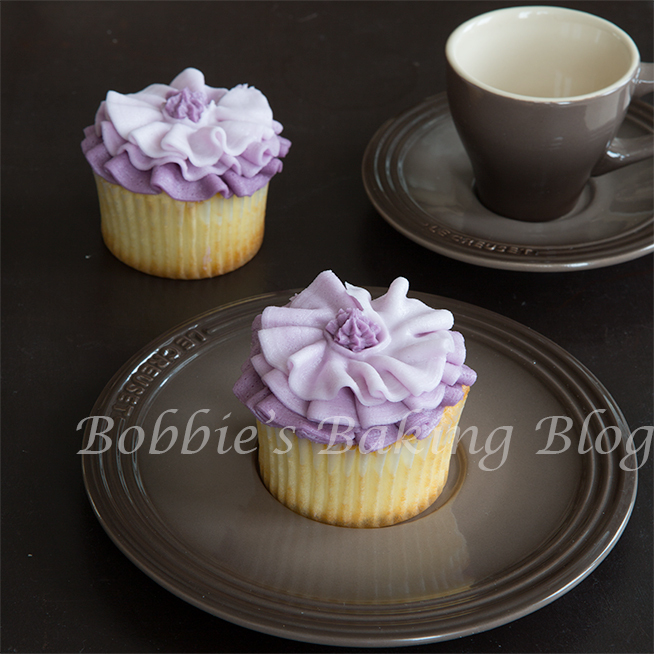 Fashion inspired buttercream is a brilliant method for piping! Once you understand the method experiment with other ruffle tips/nozzles, petal tips/nozzles create fun ruffles as well. 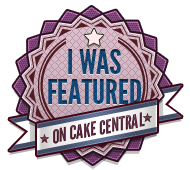 Literally in about 15 to 20 minutes you could decorate all your cupcakes! 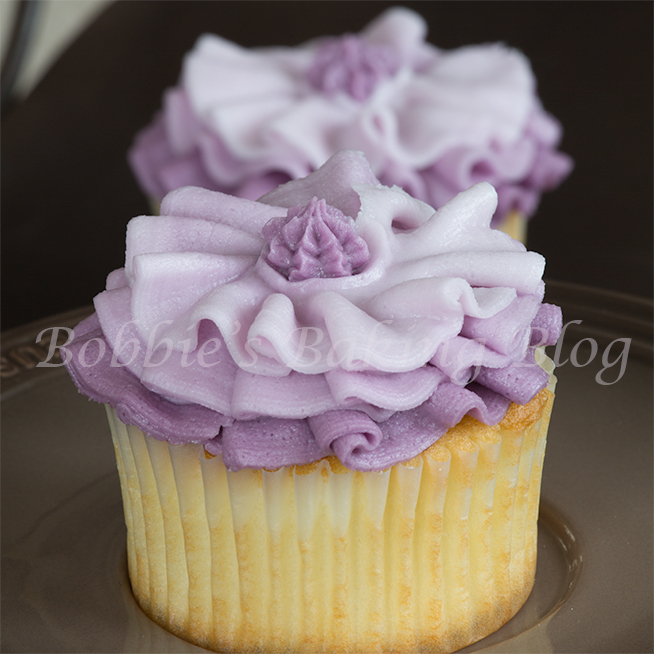 I love the soft lavender ombre ruffles!